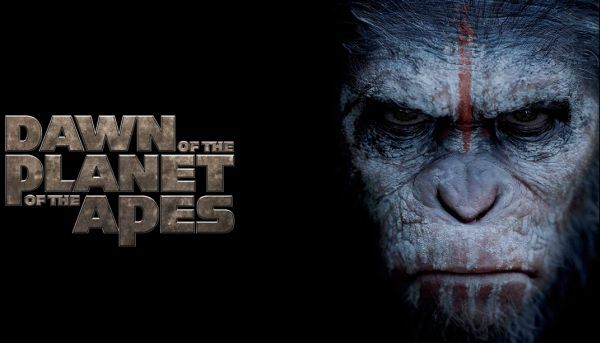 As an avowed fan of the original Planet of the Apes films and the 2011 reboot Rise of the Planet of the Apes, it was with some anticipation that I awaited this latest instalment in the prequel series. Maybe I had my expectations too high, or maybe the film is just missing that something special, but I left the cinema feeling a little underwhelmed. Of course, the motion capture effects are amazing, the post-apocalyptic atmosphere is suitably bleak (power supplies have almost been exhausted and the human populace is in panic mode) and there is action aplenty, which might very well be the problem. You see, as strange as it may seem given that the majority of characters are apes, Dawn of the Planet of the Apes is very typical in both its characterisations and narrative structure. 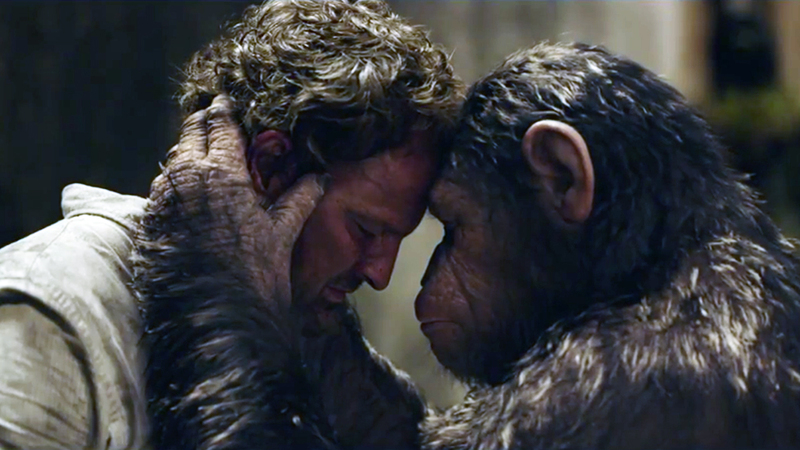 Directed by Matt Reeves (Cloverfield, Let Me In), Dawn of the Planet of the Apes picks up the story 10 years after the events of the previous film with the vast majority of the earth’s population having been wiped out; either by the ALZ-113 virus or the violence that broke out as panic set in. A group of survivors have etched out an existence amongst the remnants of what was once San Francisco, but fuel supplies have been exhausted and an alternate power source must be found. Meanwhile, in the forests north of the city, the burgeoning ape population is living peacefully under the rule of Caesar (Andy Serkis), a benevolent dictator of sorts. 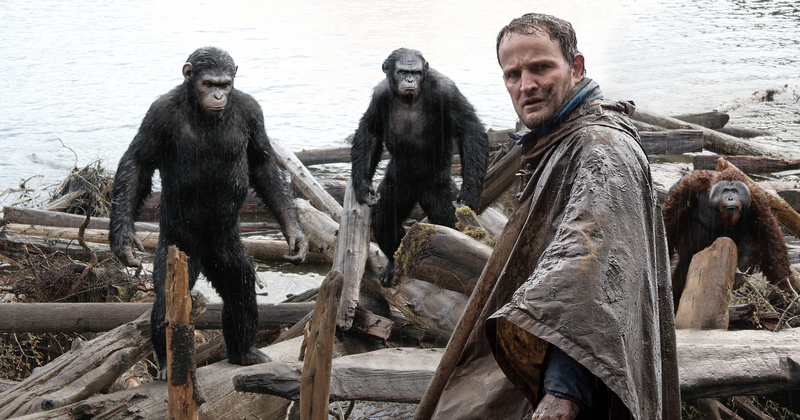 When a group of humans led by Malcolm (Australia’s Jason Clarke) head into the forest in an effort to repair a dam that could potentially generate power for the city, conflict ensues. Despite the best efforts of Caesar and Malcolm to hash out a peaceful co-existence between the two groups, ignorance and distrust abounds and the tensions escalate. There are the requisite bad guys on each side – Gary Oldman’s Dreyfus for the humans and the scarred Koba (Toby Kebbell) for the apes – whose actions ultimately result in war between the two groups. The attitudes and actions of key characters are a reflection of what has been happening around the world for as long as we can remember. Koba’s experiences in captivity have left him with a bitter hatred of all humans, an attitude that reflects ways in which certain groups today (such as the Islamic community) are marginalised because of the actions of a few. Dreyfus, on the other hand is of the arrogant belief that they are “just apes” and thereby don’t pose a serious threat. Again, how many times in history have we seen such situations where one group has such an overwhelming sense of superiority over another that they feel utterly justified in their desire to use force in an effort to secure what they want. Of course Caesar and Malcolm, who have developed a mutual respect and know that such conflict is completely unnecessary, are caught in the middle as war breaks out. The parallels to conflicts such as those in the Middle East are obvious and it is this distinct lack of subtlety that prevents the film from soaring as an engaging narrative. Reeves was obviously conscious of the need to appease an action-obsessed audience desperate for a fix of mayhem and chaos and such a focus prevents the film from offering any genuine insight into what is an utterly intriguing premise. There is still much to appreciate in what has been achieved on a technical and aesthetic level. The motion capture work is brilliant and, even if there are a few moments where some of the apes don’t look quite real, the creation of the forest world and the apes who inhabit it is remarkable; certainly a far cry from Roddy McDowall in costume in the first Planet of the Apes in 1968. As Caesar, Andy Serkis is fabulous and it is great to see that he is duly credited as the star of the film. The casting of Clarke as Norman is a good choice because he doesn’t bring any pre-conceived audience expectations or the baggage of previous roles that might burden a higher profile actor. Whilst Clarke is quietly effective as Norman, fellow Aussie Kodi Smit-McPhee has little to do as his son Alexander, while Keri Russell’s Ellie is the convenient love interest with requisite medical training. Perhaps the biggest disappointment amongst the cast is seeing a talented actor like Oldman confined yet again to a one-dimensional role as a bombastic, narrow-minded douchebag. Whilst there are elements that impress, Dawn of the Planet of Apes possesses neither the intelligence nor the heart of its predecessor.